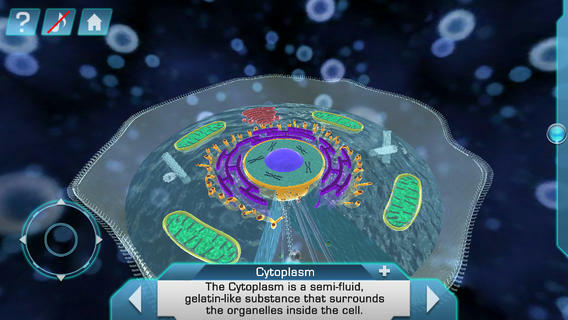 Science teachers have many great options for teaching different science concepts using the iPad. 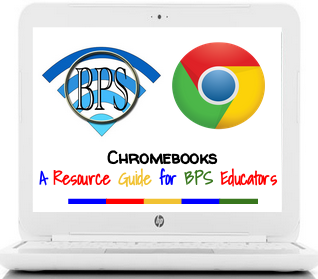 There are apps which allow teachers and students to create presentations, complete labs, work on projects, and lots more! Over the past several weeks I have been researching different apps and have gathered a collection of apps which I feel would be the best options for studying science. 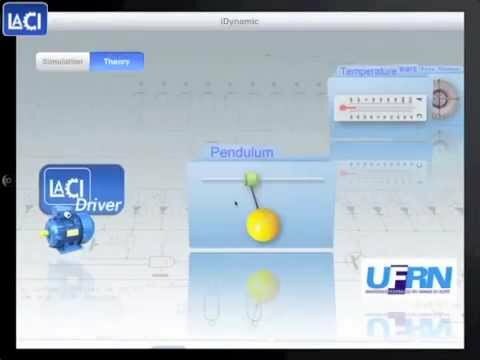 iDynamic serves as a mobile simulation platform for dynamical systems. It implements several simulations form first order temperature to a “3DOF” robotic manipulator. 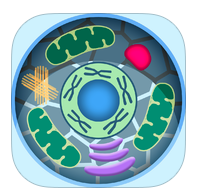 With this app, you can look at simulations, and read theories about each simulate type. You can go to the window for each system. Using the selector button, you can choose to see the simulation or a text explaining the theory behind each system. For example, in the window for the spring mass system, the user can change the parameters of the system using the sliders. It is also possible to interact with the system dragging the car or the mass. There is a main slider (the first one) that controls the size of the animation. The switch turns on or off the use of the accelerometer to make possible to move the car by physically tilting the device. The left bar button goes back to the menu, the middle ones choose whether the animation is made only with the images, the vectors or both. Finally there are two buttons on the right that show a plot of input and output and let the user pick an input to the system. 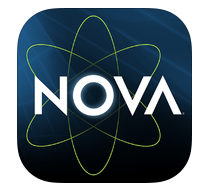 Nova is a popular show broadcasted by WGBH on PBS. This long-running, award-winning documentary series focuses on science, its many applications, speculations, history and researchers. Inspired by the BBC documentary program “Horizons, ” the U.S. series frequently features interviews with scientists directly involved with the topic at hand, and sometimes even shows footage of a particular discovery. In 2013, WGBH put out this app to go along with the show, and to further educate people. This app is probably my favorite out of this list, and here’s why. When you open up the app, the general feel of the app goes along with what the app is made for. It gives you the whole periodic table under ‘Explore’. This isn’t any normal, everyday periodic table, this one is interactive. If you, for example, tap on Hydrogen, You get a good, information filled paragraph about the element, a picture of it, a clip to watch on it, and my favorite, the option to ‘build’ the element. If you choose to build the element, it will take you to an empty atom work space, and at the bottom of the screen, you can add protons, neutrons, and electrons until you’ve built the selected element. I f the element you’re building is more complex than you thought it would be , there is also an auto build option in the bottom right corner that lets you see exactly how many protons, neutrons, and electrons are needed to make the element. Under ‘Play’, the host for the show, David Pogue, gives us a list of the most essential elements. they are shown with things you can find them in. for example, water is shown branching off of a cup full of water. The best feature in my humble opinion is under ‘Watch’. WGBH and Nova were generous enough to put a whole 12 chapters of elements in the app for your benefit. Each being about and hour and fifteen minutes long on average. They are all taken from the show and cover everything you might want to know. It really does help when learning about elements. Redshift brings the night sky to your screen, with all sorts of planets, constellations and bright stars displayed in great HD quality. The app goes beyond the basic planetarium because it also displays a 3D-model of the nearby part of our Galaxy. Perform many 3-D flights and visit the Moon and all planets in our Solar system. Detailed surface maps show those objects in a close-up right before your eyes. Once you have arrived at your destination, you can enter into an orbit around the celestial body, just like an astronaut in a real spacecraft, or choose the most entertaining option of all: Travel to the stars in the depth of the Galaxy, some of which are up to 3,000 light years away from our home planet! Find selected objects in the sky by using the position sensors and the compass (3rd gen and up on iPhones/iPods) , you can reach every celestial body. Turn on the ‘Follow Sky’ mode of your device to identify stars and planets that shine in the real night sky in front of you. Fabulous images show around 500 galaxies, nebulae, star clusters and other Deep Space objects on your screen. Images otherwise available only through the largest telescopes and observatories. Every calculation within the application is done in real time for any given point in time in the 20th and 21st centuries, like the positions of stars and planets, the motion of Earth and the Moon, or of comets that have passed by. You can easily accelerate or slow down the progress of time by a wheel to watch the breathtaking events in the night sky in full detail. Sure, it might be $10, but it sure is a whole lot better than a $70-$80 dollar textbook!! I’m glad i had the opportunity to see exactly how many apps there are focused on scientific learning, and I’m also glad i got the chance to share some oft the best in my opinion with you. I do hope that you consider most, if not all the apps I’ve included here, because based off of personal experience, I feel these could and would do the most for the learning experience of any individual. They all look cool and are fun to use and i hope you spread the word around about these great apps! Thanks for your time! ← We’re Not Monkeying Around: Banana Boom Available Now!